You often need a machine to make a machine, these are usually called power tools. Above, Greenbat tools as used in the Greenbat works - AM Johnson. 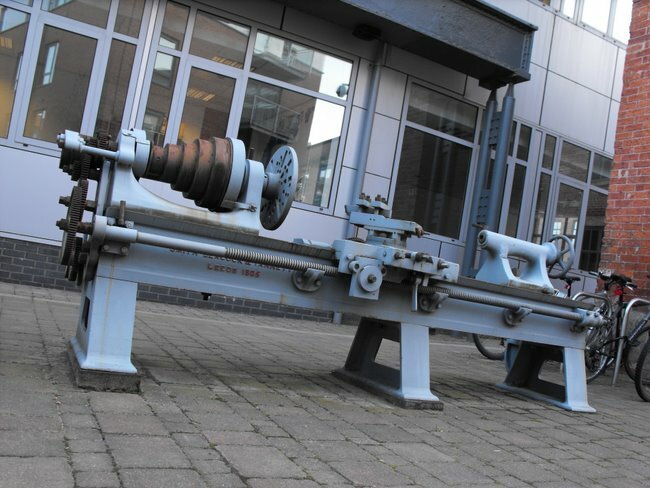 There are various tools that were made in Leeds by engineering firms. 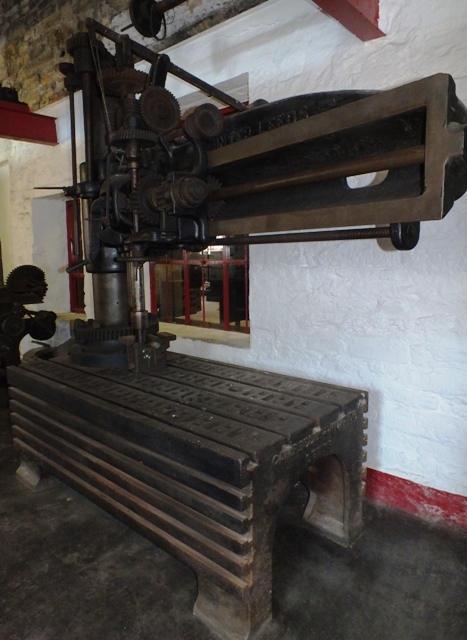 Many of these were used by the Leeds engine builders and others in the manufacture of engines etc. Early tools were powered by hand. Later power was supplied through belt drive taken from overhead line shafting. The line shafts could take power from a water wheel (green energy is not new) these were subsequently powered by a central stationary engine. 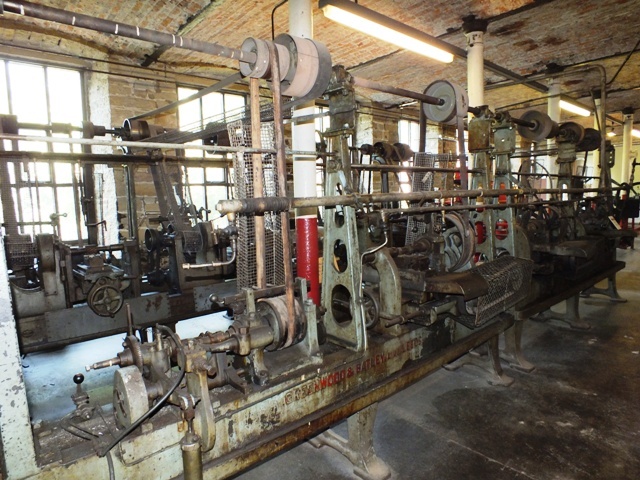 The mill engines could be steam, gas or diesel powered. Modern tools have an electric motor to power them, quite a few elderly tools ran from an electric motor towards the last years of operation. Was invented by James Nasmyth in 1836. It uses a moving tool to cut flat, straight surfaces into metal and can also cut slots and grooves. 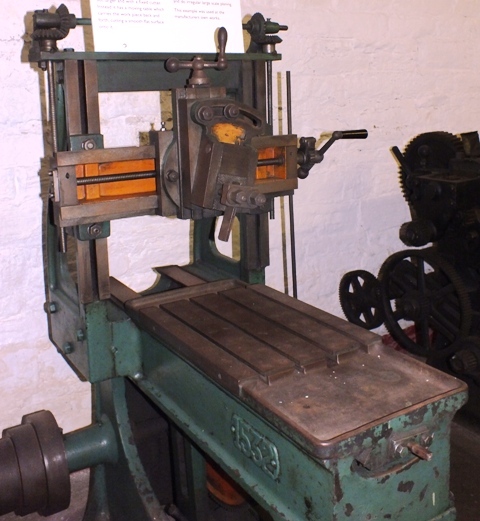 It is a simple, robust and easily repaired and was very common in engineering workshops until the 1950s when it was gradually replaced by milling and grinding machines. These are very similar to shaping machines except that the shaping tool is mounted vertically. It is used to cut irregular shapes and heavy pieces like locomotive frames. The tool is mounted on a strong bar to prevent it springing out whilst working. 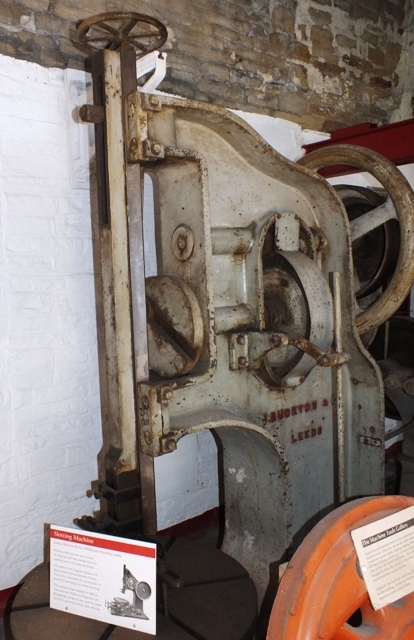 Was developed in the early 1800s by several British engineers, including Matthew Murray. It is similar to a shaping machine but larger and with a fixed cutter. Instead it has a moving table which carries the work piece back and forth, cutting a smooth flat surface onto it. 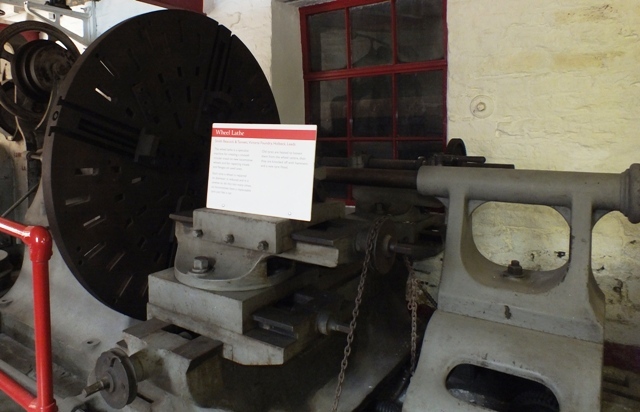 These were made obsolete by modern grinding, milling and broaching machines. Is a drill mounted onto a vertical pillar and can is often moved down the pillar to the piece which is mounted onto a flatbed. Is a type of pillar drill where the drill is mounted on a moveable arm on a column. It can work on large pieces and over a wide area so that the piece itself does not need moving. 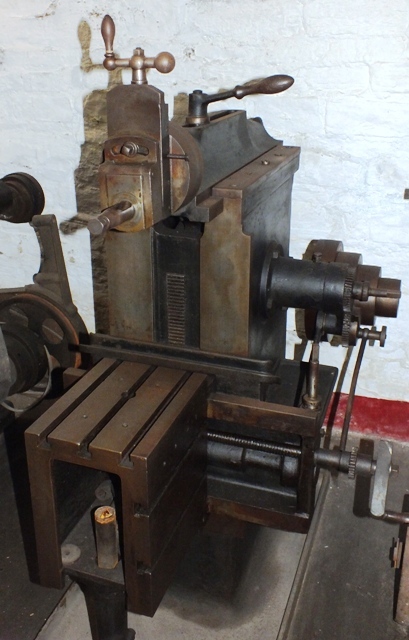 These are used for turning and profiling round pieces of work. Some of these can be set up to cut threads onto the work. Many were fitted with the ability to accurately create batches of identical parts. Manufactured by Smith Beacock Tannett. 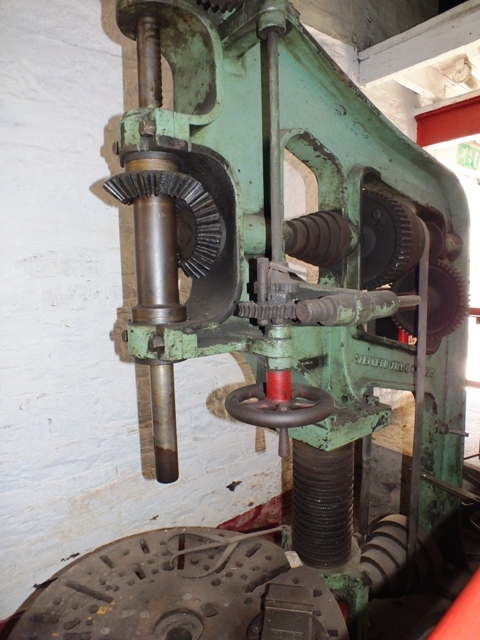 This is a specialist machine for creating a smooth circular tread on a locomotive wheel or for repairing treads and flanges on used ones. 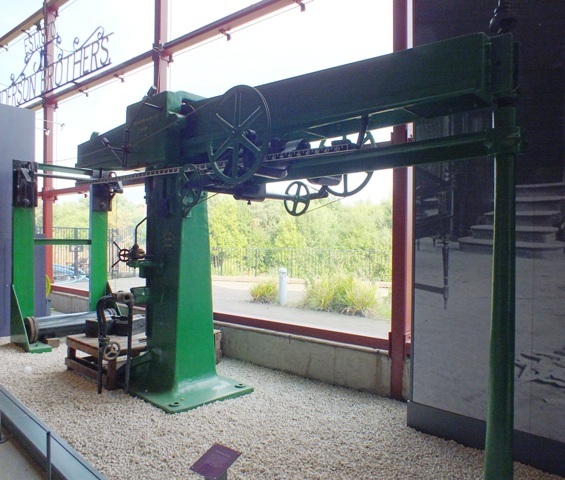 The illustrated tensile testing machine was used in Glengarnock Iron and Steel works to test the strength of steel plates. A sample from each batch was stretched until it broke. The force needed showed the quality of the steel. Quality control was crucial as steel was used to construct buildings and bridges. Milling machines can be used to accurately produce flat surfaces, slots and depending upon the complexity of the machine quite intricate accurate angled joints.. Manufactured by Greenwood & Batley. This article was produced by Andrew Johnson, feedback or contributions about the Leeds engine making industry would be greatly appreciated.